If you want to get over 1500+ SEO optimized backlinks to your site and DOMINATE the Google search results, this gig will give you BIG results! - Your 1 URL will be successfully submitted to over 1500 social bookmarking sites - you receive an active backlink from each site. - I can add the 1 TITLE and short DESCRIPTION to Bookmarking sites . You can also decide the 1 keywords that will be used for the bookmarks. - All links GUARANTEED to be Penguin SAFE. - They will be PINGED over the next 30 days - so search engines will find them gradually! This is a VERY POWERFUL gig, giving you user-generated backlinks from many different sites. Many customers have seen massive jumps in rankings - all for only $5! What We Need From You:✔✔ Your targeted 1 keywords & 1 urls. ✔✔ 1 Title & short description. ● High quality 24/7 support! 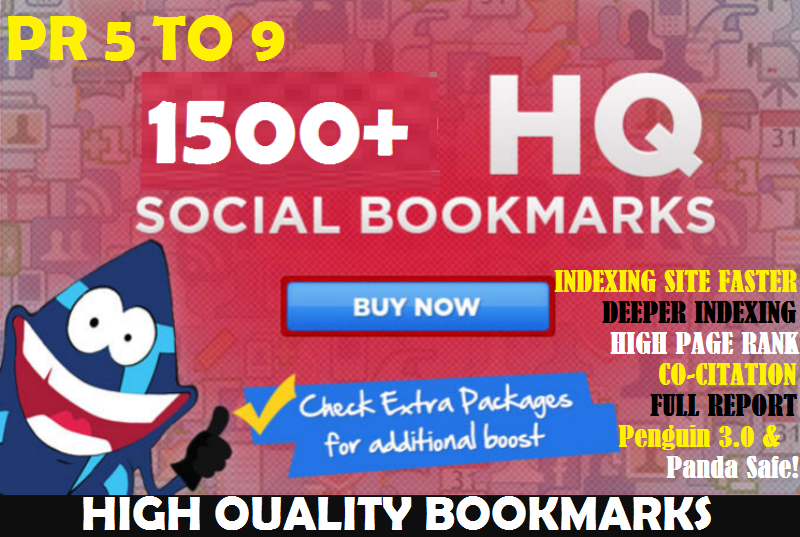 1500+ Social Bookmarks - Influence your SEO strategy with this powerful add-on is ranked 3 out of 5. Based on 3 user reviews.